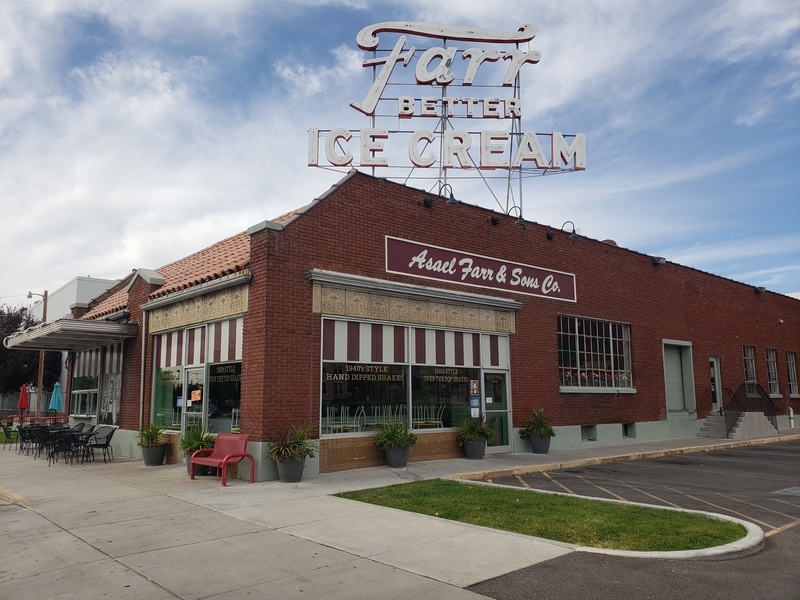 The Farr Better Ice Cream Company is a much enjoyed company in Ogden and carries the name of a distinguished family. 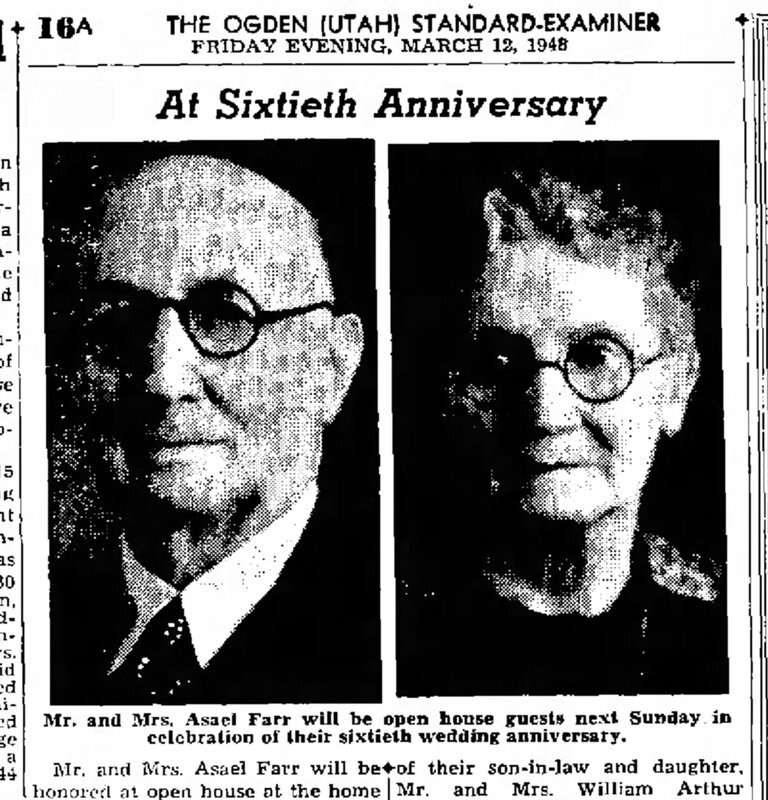 The Farr family has been in Utah for over a century. Lorin Farr (1820-1909) came to Utah in 1847 as part of the Mormon migration. He settled in the city of Ogden and was elected as the first mayor in 1851, an office he held for many years. He had five wives with whom he had 36 children. The Farr families were involved in several businesses, including grist mills and coal companies. Sons from Lorin’s third wife Olive, Asael (1866-1961) and his brothers David and Valasco, established an ice business in 1890 -- then called the Fresh Pond Ice Company. They cut ice from ponds during the winter, loaded the ice blocks onto horse drawn sleighs, and stored them in their insulated warehouse in downtown Ogden. During the summer, the ice was peddled on the streets of Ogden. Eventually Farr Brothers Ice Company had three ice houses on the Ogden River, with a capacity of three thousand tons of ice. The company became the largest of the ice companies in Ogden, and for some years even furnishing ice for railroad cars shipping fruit to California and Chicago. In 1904, the Farr Brothers, the Mountain Ice Co (owned by Elijah and Lorenzo Farr), the M. T. Jones Coal & Ice Com., the John Farr Coal & Ice Co., and the George Smith Sons Ice Co. all consolidated to form the Citizens’ Ice Co. Asael Farr established a coal company with the slogan “Farr Better Coal.” That company continued to operate into the 1940s. Asael got back in the ice business in 1920 after his father’s death with the establishment of Asael Farr & Sons Co. -- manufacturers of “pure artificial ice,” out of the first commercial ice plant in a five state area. Unfortunately for the Farr family, General Electric created the original refrigerator, originally called the ‘monitor top,’ in 1927 which limited ice delivery businesses. However, this did not stop the Farrs from considering other related businesses. For two years Asael, his wife (Georgena Julia Drake) and their children researched and then started making ice cream. 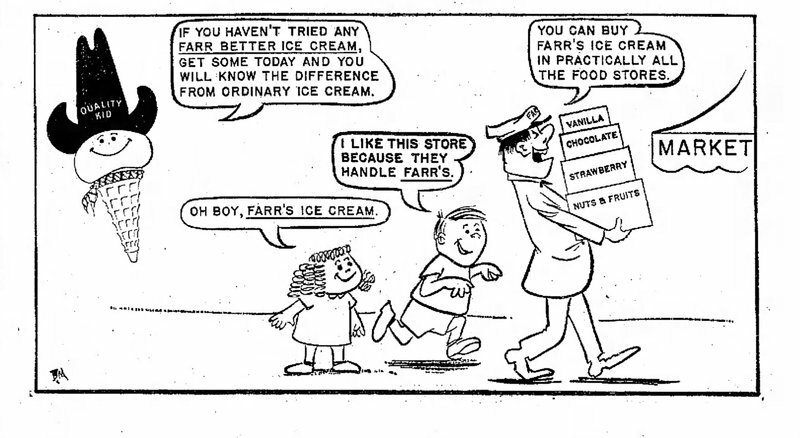 The Farr family began with three flavors: vanilla, chocolate and strawberry. One scoop of ice cream cost a nickel. 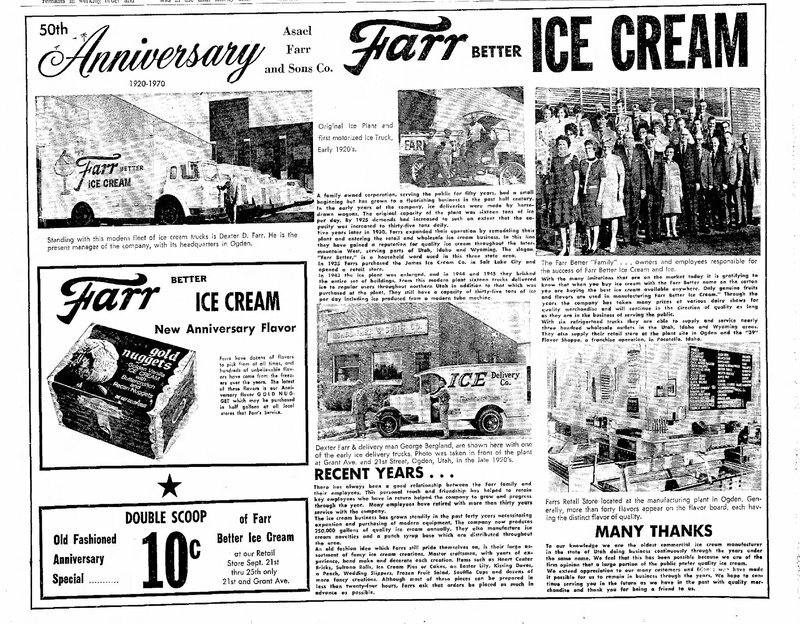 Within a few years, Dan Gardiner, a grocer salesman saw a great opportunity to start selling the Farr Better Ice Cream in grocery stores. The business grew exponentially. 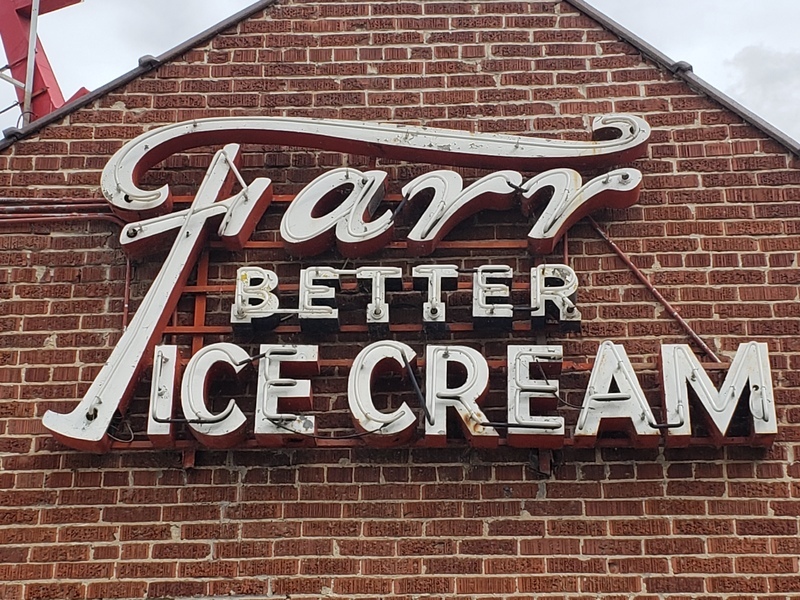 By the 1990’s, Farr Ice Cream had outgrown their Ogden facility and in 2000 partnered with Russell’s Old Fashioned Ice Cream in Salt Lake City, to secure a more efficient and larger plant. Farr Ice Cream has developed over six hundred flavors of ice cream. 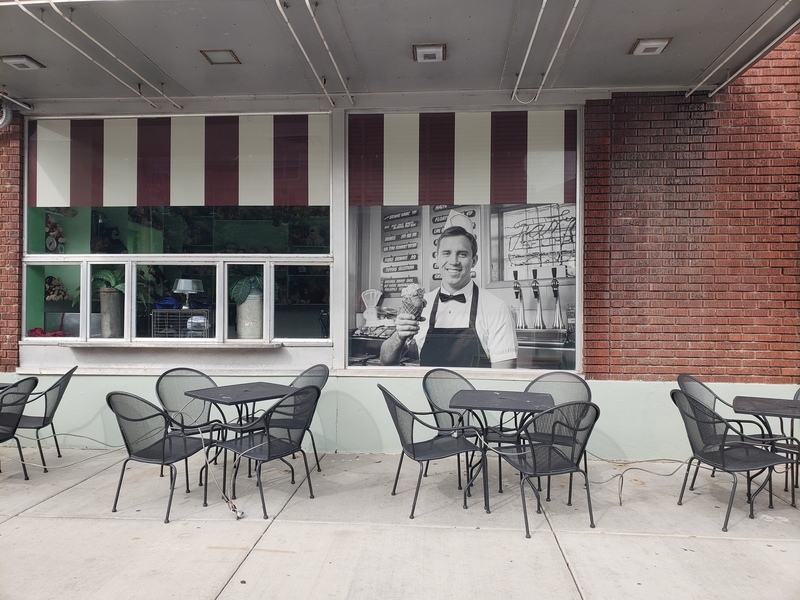 The company continues as one of America’s oldest operating ice cream shops. ,” Intermountain Histories, accessed April 20, 2019, https://www.intermountainhistories.org/items/show/271. Farr Better Ice Cream website, available at https://farr-better-ice-cream.business.site/. “Farr, Lorin” and “Farr, Asael” in Frank Esshom, Pioneers & Prominent Men of Utah, Salt Lake City: Utah Pioneers Book Publishing Company, 1913. “Farr, Lorin,” in Latter-Day Saint Biographical Encyclopedia, vol. 1, Avdrew Jenson. Salt Lake City: Deseret News, 1941. Ice and Refrigeration, Illustrated. 26 (January to June 1904): 240. KSL.com website. “Farr Better Ice Cream, 17 June 2010, available at https://www.ksl.com/?sid=11501886. Ogden Standard Examiner. “The New Ice Plant,” 6 May 1920. Portrait, Genealogical and Biographical Record of the State of Utah. Chicago, National Historical Record Co., 1902.